Home > Blog > And The Winner Of The 2016 Lance Surety Bonds Scholarship Is..
And the winner of the 2016 Lance Surety Bonds Scholarship is..
.. Michael Dermis! Congratulations, Mike! 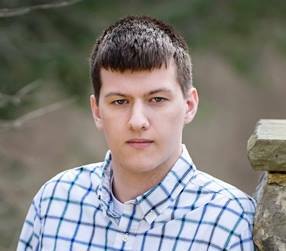 Michael is a third-year student at the University of Cincinnati where he is pursuing a computer engineering degree. His goal is to become a software developer after graduation. In his spare time he plays the trombone and takes part in his school’s marching band. Michael wrote an excellent essay titled “Surety Bonds: A Secret Economic Booster” where he defends the regulatory use of surety bonds as a way to free up capital for investment, allow small businesses to participate in large projects and boost trust in businesses from a number of industries. We would like to also use this opportunity to thank everyone who participated in our 2016 scholarship contest. With close to 600 submissions, this year was even stronger than the last. We read a lot of great essays and it certainly wasn’t easy to pick just one winner. Once more, congratulations to Michael Dermis. We hope that the $1,500 award will contribute to the realization of his personal and professional goals.